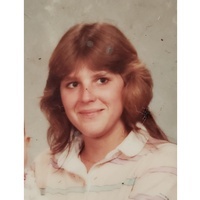 Lisha M. Boswell of Lake Wales, Florida passed away Tuesday, March 26, 2019 at her residence. She was born December 18, 1966 in Lawrenceburg, Indiana. She has been a resident of the area since 1974. She was a Cook. Lisha loved Bingo, slots and gambling, she also enjoyed fishing and cooking. She is survived by her parents Glenn and Catherine Lunsford, daughters Linda Marie Henderson, Brittany Lynn Spurlock, son Norman Glenn Ploof, sisters Angela Jean Dunklebarger, Beth Ann Godwin, Bridget Lynn Southerland, brother Glenn Allen Lunsford and 7 grandchildren. Memorial service will be held 7:00PM Friday, April 5, 2019 at the Marion Nelson Funeral Home.